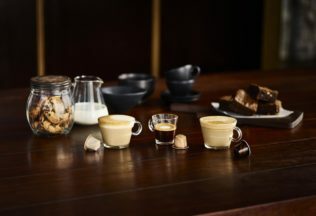 Nespresso has released its new compatible Baileys Premium Coffee Pod in Australia and New Zealand, across a variety of retail stores including Coles and Woolworths, and online at www.expresspods.com.au. Nespresso said Baileys and the innovative disruptor Podpac have spent the past year working on the coffee project. “We are extremely excited to be launching the world’s first Nespresso compatible Baileys Premium Coffee Po,” said Podpac co-founder and managing director, Toby Strong. “Previously we have adapted standard beverages and put them in Nespresso pod form such as chocolate, sugar-free milk flavours and iced coffee. But a Baileys flavoured coffee pod is an entirely new concept, the likes of which have never been seen before,” he added. The new range of Baileys Premium Coffee Pods targets adults aged 25+ and that is reflected in both the pricing and packaging. Baileys Premium Coffee Pods retail at $6.49 for a pack of 10 pods and contain 0.01 per cent alcohol content when prepared as instructed, so they can safely be consumed at work. The coffee company offers two new flavour variants including Original Irish Cream and Mocha, with more flavours to be launched in the future. The coffee blends have been created using the beans from Brazil, Nicaragua and India. They are then locally roasted to perfection in a traditional Italian style. The coffee is ground and packed in a protected environment to ensure the pods are fresh and keep their taste and aroma until unlocked in a Nespresso machine. Nespresso said Podpac approached Baileys owner, Diageo, with the idea of launching a range of premium coffee pods for the Australian and New Zealand markets under the liquor brand. Diageo felt that Podpac was the right company to partner with on this product given their experience in launching premium products into the market place under various company owned brands and the experience of their leadership team. he deal was brokered by Asembl Brands, Diageo’s licensing agent in Australia and New Zealand. Dessert, brand extension, more product categories. Similar Baileys products in the Australian and New Zealand market include a Baileys Desserts Range; Baileys Ice Cream Tubs, Sticks, Cream and Custard.